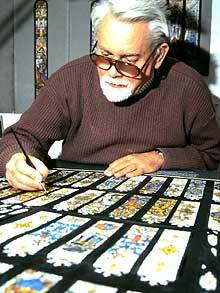 John Lawson, who has died of cancer aged 77, was one of the leading stained-glass artists of his generation. 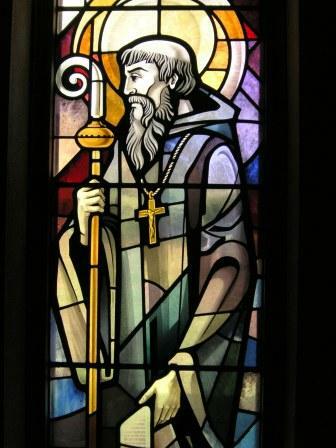 He designed glorious windows not only in Westminster Abbey and many other British cathedrals and churches, but also in mosques, palaces and hotels as far afield as Dubai, Oman and Brunei. For the last three decades of the 20th century he was chief artist for the internationally renowned Goddard & Gibbs Studios. 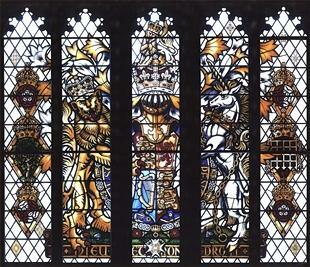 When the 20-year restoration of Westminster Abbey was nearing completion in 1992, Donald Buttress, the Surveyor of the Fabric, or cathedral architect, suggested that the work should be commemorated with a replacement stained-glass window for the plain clear-glass one on the west wall of the abbey's early-16th-century Henry VII chapel. 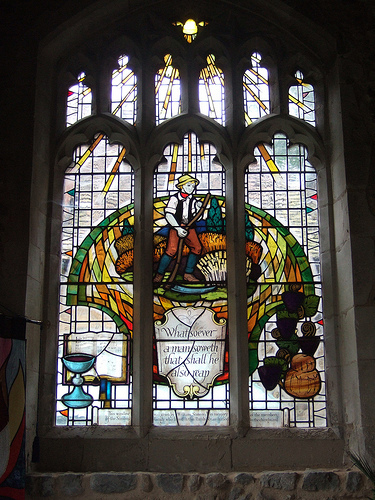 Lawson was called in to create a window that would let in enough light and be "neither overpowering nor anaemic" and, using his knowledge of heraldry, designed the magnificent window that is there today. 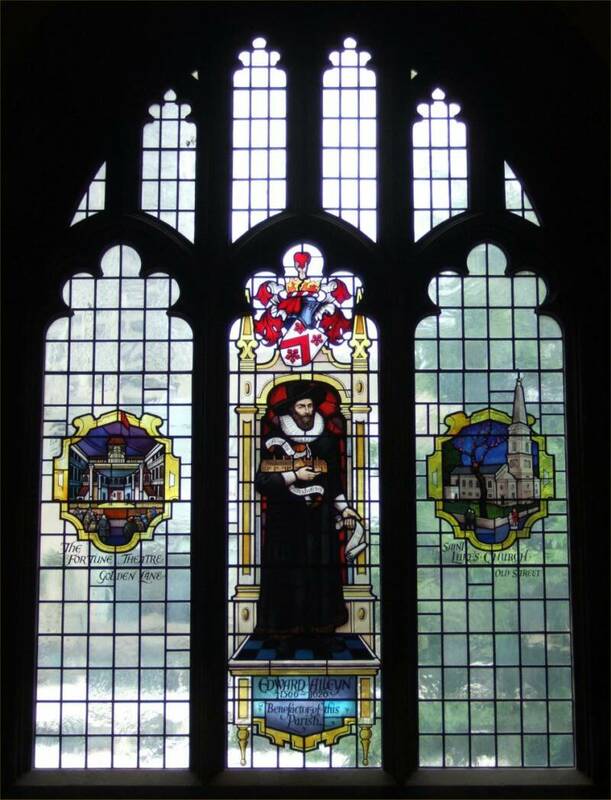 It was unveiled by the Queen in 1995, and depicts her coat of arms, those of the Duke of Edinburgh and Prince of Wales, and those of Henry VII and his Queen, Elizabeth of York, who are buried in the chapel. 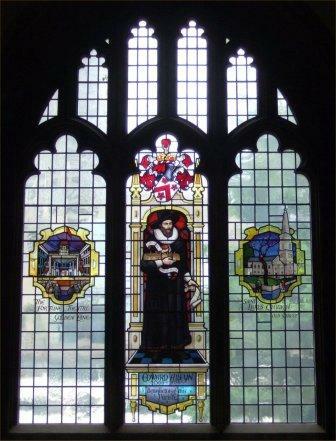 Known as the West Window, the Henry VII chapel piece was undoubtedly Lawson's proudest achievement. However, he was equally known for his art work in the Middle and far east and was much in demand by some of the world's wealthiest rulers and princes. 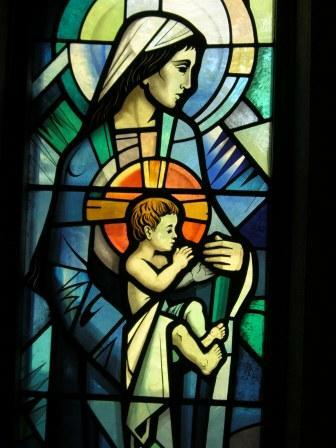 Anyone who has visited the Ramada hotel in Dubai since 1980 will have stood in awe beneath Lawson's stained-glass mural which, at 41 metres high and nine metres wide, was listed in the Guinness Book of Records as the tallest stained-glass structure in the world. 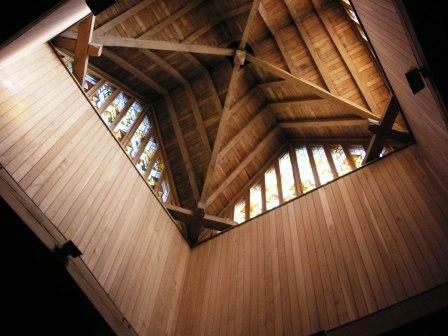 In the early 1990s, impressed by the Englishman's work, the sultan of Brunei invited Lawson to the capital, Bandar Seri Begawan, to design the glass dome for a new mosque built to commemorate the 25th anniversary of the sultan's reign. Officially named after the sultan, Hassanal Bolkiah, it is better known as the Kiarong mosque and is now a major tourist attraction. As always, Lawson made the original "cartoon", or drawing, at the Goddard & Gibbs studio on Kingsland Road, in Shoreditch, east London. 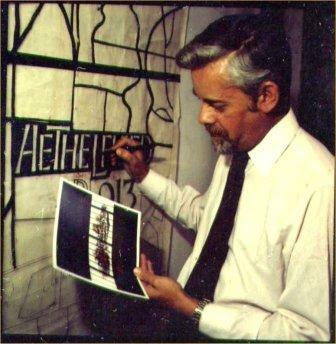 He worked from his own experience and research into Islamic culture and art, but consulted local experts and calligraphers to ensure that the design, including Arabic characters and lettering, met the criteria of Islamic experts. 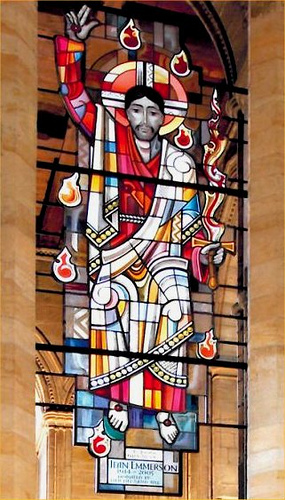 In Oman, Lawson's windows helped create the unique ambience in the Sultan Qaboos Grand Mosque, which the sultan has described as "the crowning glory of Oman". The intricate stained-glass windows around the dome filter light that echoes the colours and patterns of the murals and the world's largest single-piece prayer mat. In 2000, Qaboos also commissioned Lawson to design the glass dome above a water feature in the guest complex for his new palace, Beit al-Barakah, outside Muscat. 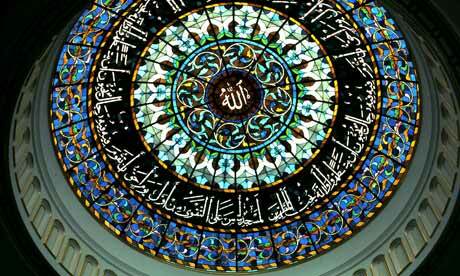 In the late 1980s, Lawson was called in to design the stained-glass dome of an elegant new museum in Bahrain, the Beit al-Qur'an, or House of the Qur'an, which contains a rare collection of ancient holy books. 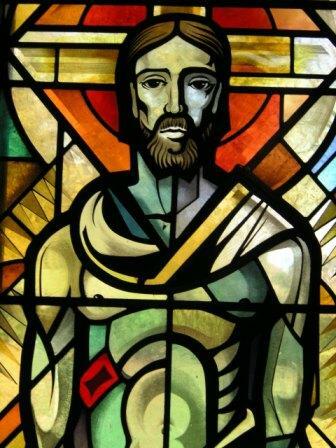 Closer to home, Lawson's work can be seen in hundreds of churches around Britain, and includes a hanging glass panel depicting Christ the judge in Ripon Cathedral, North Yorkshire, and the windows of the Oratory in Elmore Abbey, the Benedictine monastery in Newbury, Berkshire. 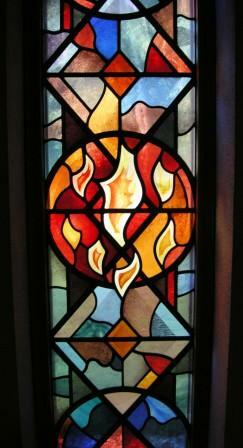 Lawson was personally involved in the church for the whole of his life. 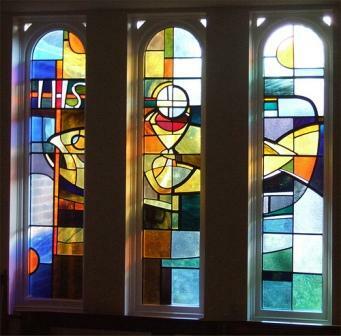 His funeral was held at Holy Trinity church, near his home in the Hertfordshire village of Leverstock Green, where he had designed the stations of the cross around the walls. Lawson was born in St Albans, Hertfordshire. 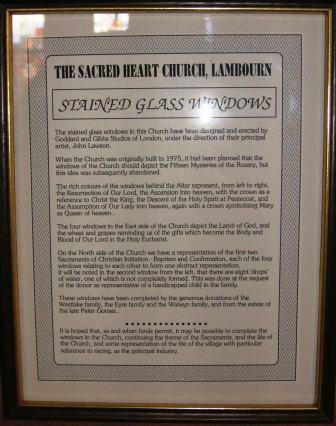 His father, William, who died when John was 13, was the managing director of Faith Craft Works in St Albans, a branch of the Church of England's Society of the Faith charity, which designed and crafted stained- glass church windows, including those for the postwar restoration of St Mary-le-Bow in Cheapside, in the City of London. After attending St Albans school and gaining a diploma in design from the Chelsea School of Art in London, Lawson got his first job in his father's old workshop. 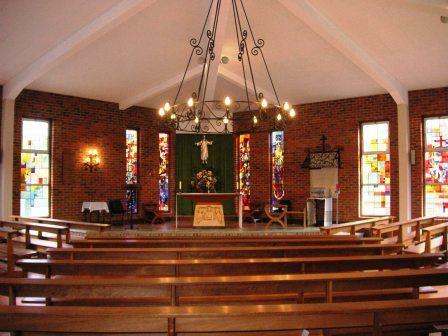 In his spare time, John also designed stage sets for the Company of Ten at the Abbey Theatre, St Albans, a leading amateur drama group, where he met a young actress, Frances Baker, whom he married in 1961. 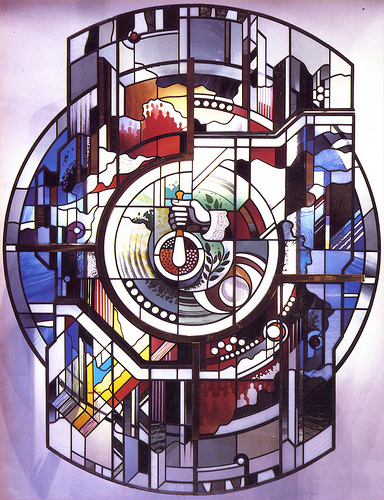 In 1971, he was appointed chief artist by Goddard & Gibbs, where he remained until his retirement. 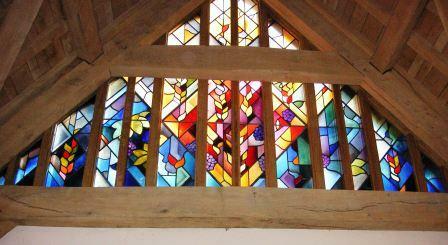 He was a member of the Heraldry Society and a fellow of the British Society of Master Glass Painters. Lawson is survived by Frances, their son, Dominic, and daughters, Rebecca and Helena. 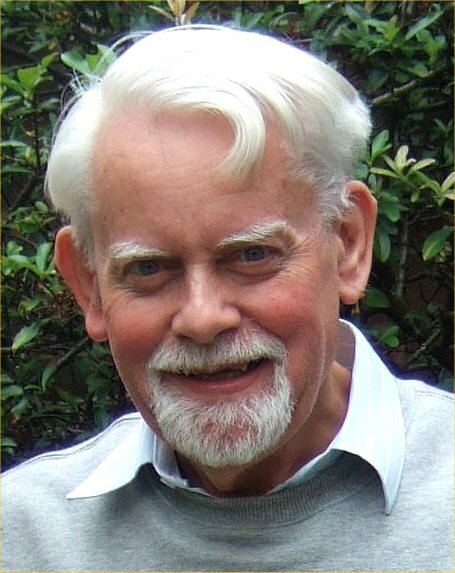 John was a highly valued member of the Leverstock Green community who was much liked by everyone who came into contact with him. 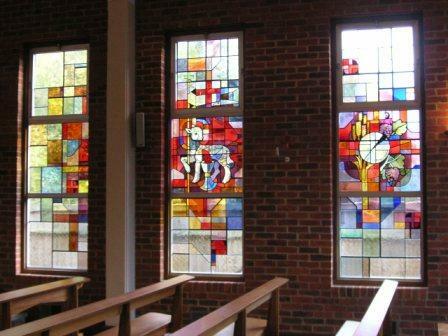 We were also highly appreciative of his skills as a Master Craftsman in Stained Glass, and as Chairman of the LGVA I was privileged to be able to commission a piece of work from him which is still hanging in the Main Hall, commemorating Fred & Nesta Buglass. (Click on thumbnail to the right.) 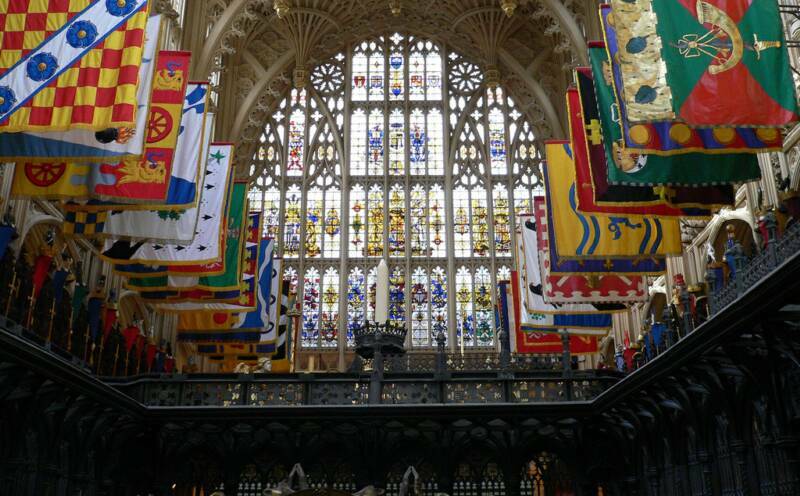 With a party of others from Holy Trinity, we went up to Westminster Abbey to see his truly magnificent Heritage Window in the Henry VII Chapel, unveiled by the Queen on 1995, and have him explain in person some of the Heraldic devices. One of our party proudly pointed out to a group of American tourists that they had the designer of the window standing with them that day. 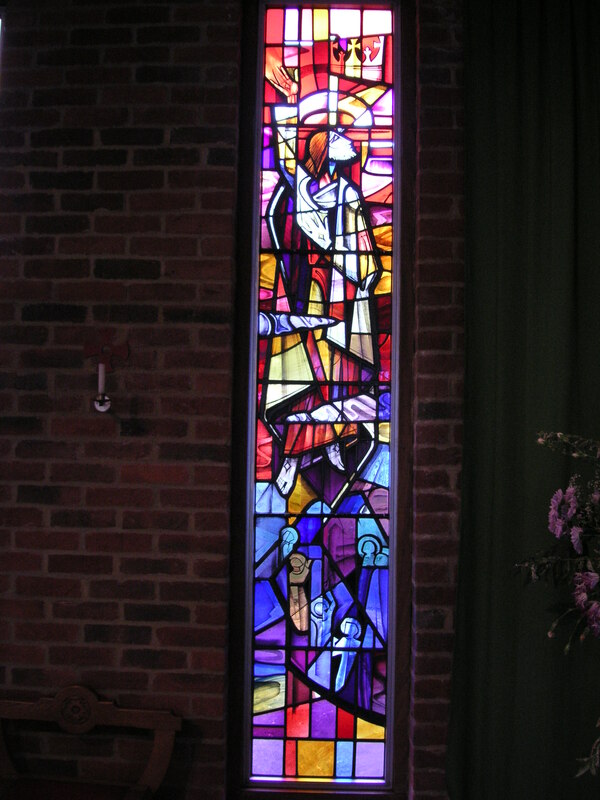 We were all deeply saddened by John's death in October 2009 after his last battle with cancer, and the many comments made on Facebook and elsewhere, together with the very full church at the service which commemorated his life, bore witness to his popularity and the appreciation we all felt for both the man and his work. 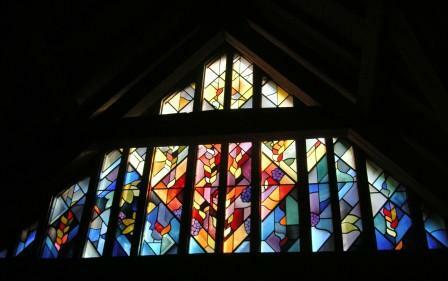 We were lucky enough to know John in person, but he has left not just our community, but also the wider world a magnificent legacy in his stained glass. Several national newspaper's carried his obituary. The tribute below was written by Phil Davison and published in The Guardian on 9th December 2009. 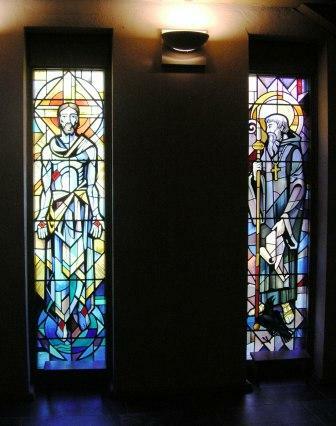 Right: One of the Stations of the Cross designed by John Lawson ion memory of his mother-in-law, at Holy Trinity Leverstock Green. 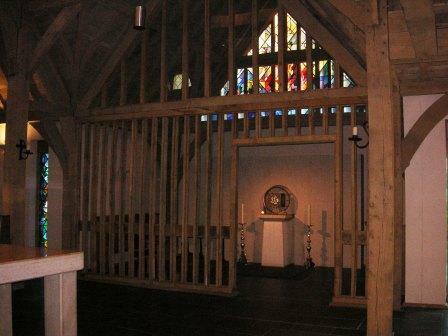 Left: Henry VII's Chapel Westminster Abbey, showing John's Heritage Window. 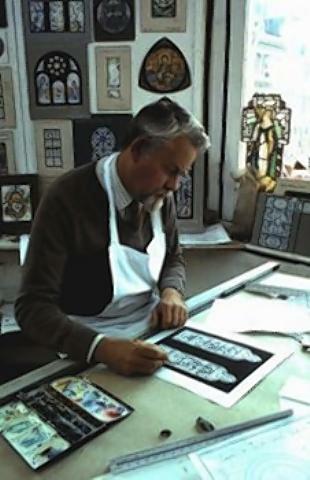 ABOVE: John Lawson working on the Westminster Abbey window. 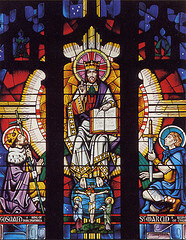 LEFT: A section from the Westminster Abbey window. click on thumnails to enlarge. 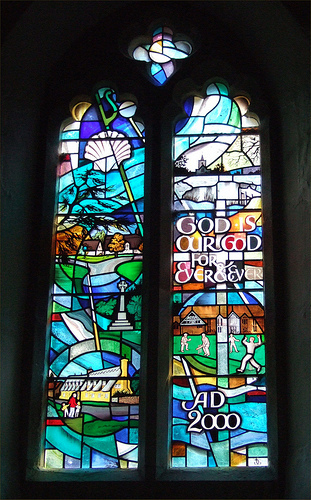 A selection of some of the windows at the Anglican Elmore Abbey, Newbury, Berkshire - photographs by Barbara Le Tallec - click on thumnails to enlarge. 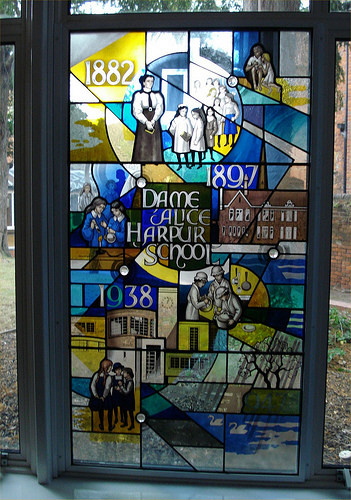 This window is the largest window on John Lawsons' "home patch" being one of two in the atrium at Breakspear Park (Previously BP House), Leverstock Green. 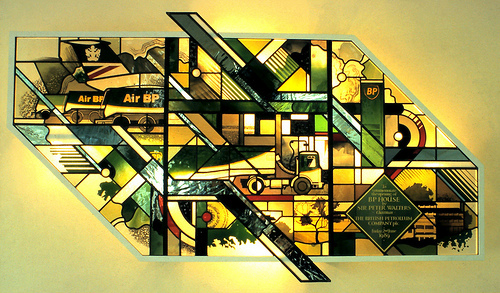 The new BP Headquarters was opened in July 1989, the Hemel Hempstead Gazette reported at the time: "Two stained glass windows, designed by John Lawson of Leverstock Green, were unveiled by Sir Peter Walter, B.P.’s Chairman. Mr. Lawson is reported as having said: Originally B.P. 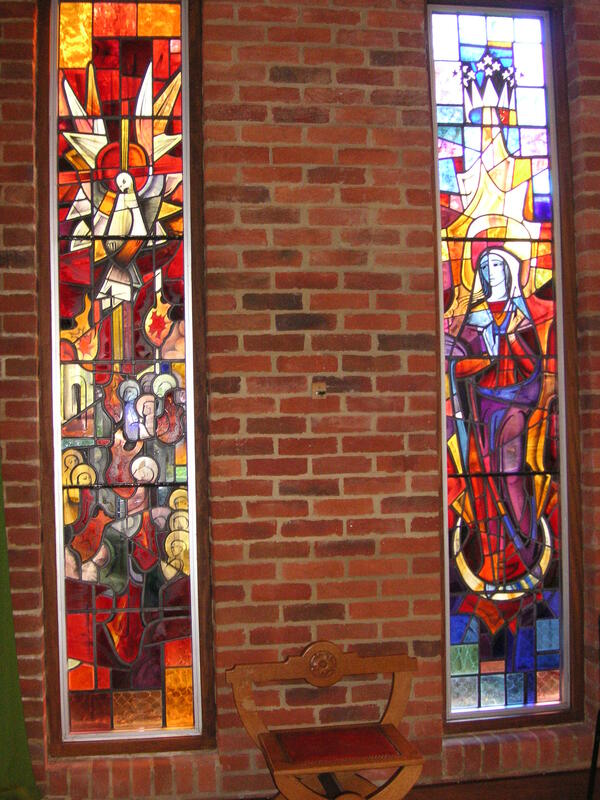 had intended having traditional plaques, but then it was thought the stained glass designs could make features in themselves. B.P. gave me illustrations of their tankers and service stations, and these were incorporated. 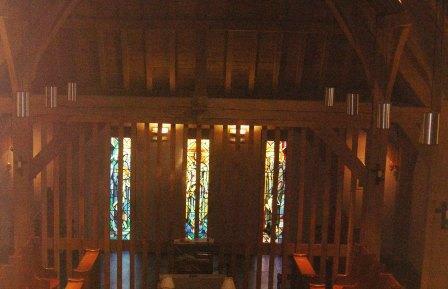 The designs used traditional stained glass window techniques, and mirrored glass." 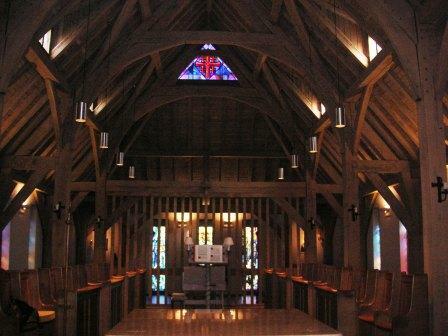 All Saints Church, Renhold Berkshire. 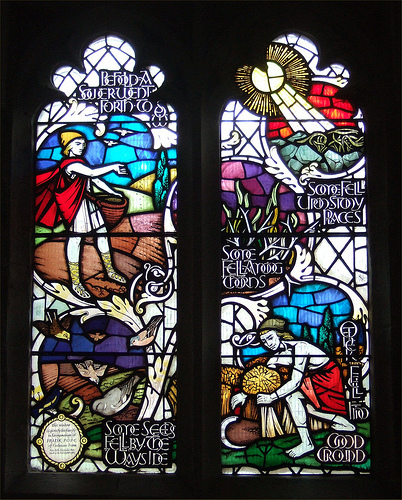 To mark the start of the new millennium the village commissioned a notable stained glass windows, a tableau of village life and landscape, which was installed in 2000. 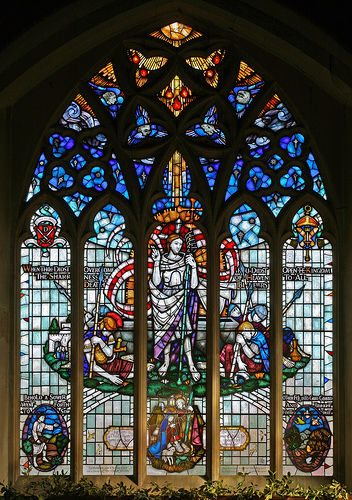 RIGHT: Church of St Giles Cripplegate - click thumbnail below to see this window full sized. 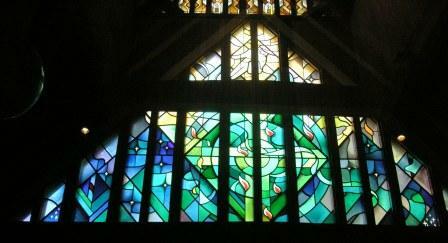 Church of St Bede, Croxley Green,Herts. 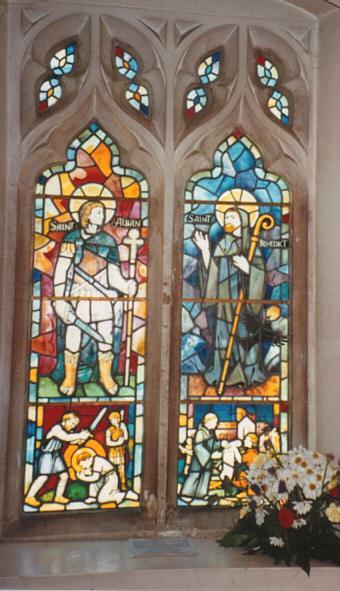 St Marys Church Felmersham, Bedfordshire. an in-depth history of one village in Hertfordshire UK.